Ever wondered what it is like to have QUADRUPLETS??? 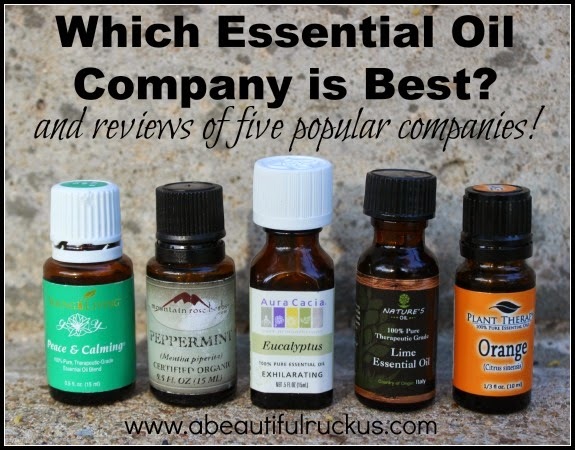 I've had several people email and ask me to just tell them which essential oil company I went with. Lol! I guess this series is taking awhile to get through, isn't it? But I'm doing it this way on purpose. Not to torture you, I promise! I think too often people on the internet just tell you what you need to do, or think, or buy, or use without anything to back their statements up. I could totally do that, but that's not my style. When I am looking at something new for my family, I want to know the "why" behind what someone recommends or uses. It's important to me to understand the background and how they got there, because this is my family that we are talking about. And I want the same thing for you. You should get to know the why and the background and the research instead of just the punchline too. I love y'all, and love having you in the community here on A Beautiful Ruckus. I think you deserve to "be in the know," you know? So yes, it takes a little longer this way, but maybe you can avoid investing in several essential oil companies and using your family members as guinea pigs like I did. Whether you want it or not, you really should have all of the info and not just go use a brand or method because I say so. So today, we are going to look at brands. In my quest to find the BEST brand, the LEAST EXPENSIVE brand, and the MOST EFFECTIVE brand, I did a bunch of research and collected oils from five different companies. Man, this was not the cheap way to go about it, but in terms of making an informed decision, it was very effective! First of all, there are TONS of essential oil companies on the internet. I thought there were like...six total or something. Not so much! There are so many, that I couldn't possibly try all of them and still have money leftover to eat. So I've noted why I chose the ones I did. Almost every essential oil company claims that they are 100% pure. We can get into lots of definitions another time, BUT I want to make sure you understand the "100% pure" claim going into this post. Essential oils are really not regulated very much (or arguably, at all). Manufacturing regulations require a minimum of 5% pure oil inside the bottle to earn a 100% Therapeutic Grade label. How does that work? The 5% of the bottle that is 100% pure earns the labeling since that 5% is in and of itself completely pure. So a bottle that has 5% pure oil and 95% synthetic oil and/or carrier oil can still be labeled with the 100% pure claim. So each of these companies is claiming 100% pure oil, and the trick is to figure out just how much of the bottle is the real stuff that you want. Is your head spinning yet? Stick with me! 1. I needed oils that are affordable. If I have to mortgage my house to buy oils, we have a problem. I needed something that I could afford to buy on a regular basis and use daily without freaking out about cost. 2. I needed to find oils that work. I know that seems rather obvious, but I wanted to know how much of the essential oil usage effects were just in my head. I addressed that in my last post, but I quickly learned that not all oils work as effectively as others. Besides that, if I buy oils that don't work, no matter how cheap they are, that's makes them a waste of money. Which makes them unaffordable (see point 1). Why did I try this company? Well...I wanted the inexpensive, most effective essential oils out there. And Bulk Apothecary is cheap. The cheapest essential oil company that I came across. I figured it was worth a try. They also have a great selection of other items for soap, candle, beer, and wine making. If you are into making your own items like that, then it's a good one-stop-shop to pick up a lot of stuff at the same time. I asked a customer service rep how many essential oils they carry. She said, "more than 140 types of essential oils. A few are organic, but most are not." I was really disappointed to open my bottle of lime oil and see that it didn't have an orifice reducer. An orifice reducer is that little part that sits inside the top of the bottle to prevent the oil from coming out faster than a drop at a time. Just an FYI, it's impossible to pour just a single drop of oil out of an open bottle like that. I tried on several different occasions and finally gave up out of frustration. Does. Not. Work. The oil felt really cheap. It was thin....and just felt weird. I wasn't impressed at all. Yeah, I get that I'm talking about the way that it felt and poured, but I don't find myself thinking, "Hmm! I could really go for some lime oil right now!" Sadness. Most of their oils are not organic. They are essential oil re-bottlers, meaning that, they don't distill their own oils. They simply buy them and rebottle them with their labels. Then they turn around and sell them. I looked to see what others were saying about Bulk Apothecary to see if my thoughts were unfounded. They have extremely high ratings on their website which was one of the reasons that I wanted to try them. After checking reviews on 3rd party sites, I saw that people were complaining that they tried multiple times to leave negative reviews on the Bulk Apothecary website and they were never approved. It seems many others also felt that the oils were too cheap and not effective as they hoped. The general consensus was that these work best as fragrance oils, used to scent soap and candles, and not necessarily for therapeutic use. Honestly, I couldn't figure out how they were selling therapeutic essential oils at that price point in the first place, so that make sense to me. I actually totally forgot that I even had an oil from this company until I started working on this post. 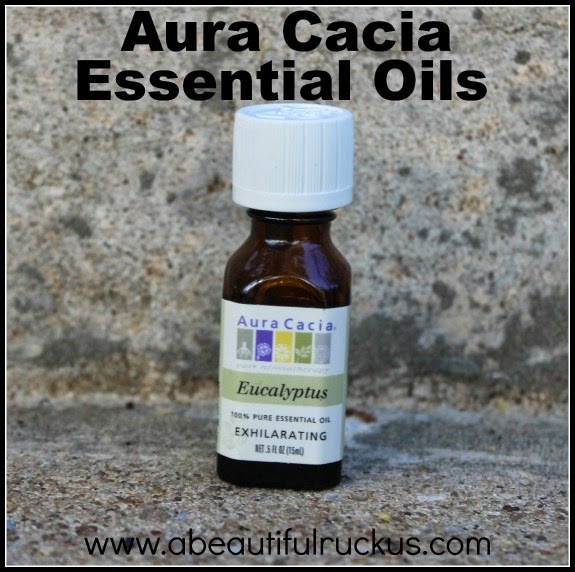 In a moment of desperation, I picked up Eucalyptus last October to give it a try. I bought it from the health food section of the grocery store. Aura Cacia is highly accessible. Most health food stores and health markets inside grocery stores carry this brand. You don't have to wait for it or pay to have it shipped to you. They come with a drop reducer orifice. By my count, they have 89 single oils and 21 blends. A small portion of the single oils are organic. Well, I didn't feel that the oil worked well. I rubbed some on my chest with a carrier oil and it helped my coughing for about...four minutes. I tried for a couple of days, and even put some on my feet, but it just wasn't effective. I've since used it a couple of times by putting it over my sinuses for a stuffy nose. That seemed to work better than using it for coughing, but I found my experience with the oil to be frustrating. They are oil rebottlers. They buy their oils already distilled and rebottle them with their marketing labels. I'm a blogger, and I follow bloggers. This company is a very popular company for bloggers to recommend so it kept showing up in my research. Note: This company has an affiliate program. I imagine that is why some bloggers like to recommend them. I totally don't hold that against the bloggers because you have to afford posting free content on the internet somehow (blogging isn't free, guys!). 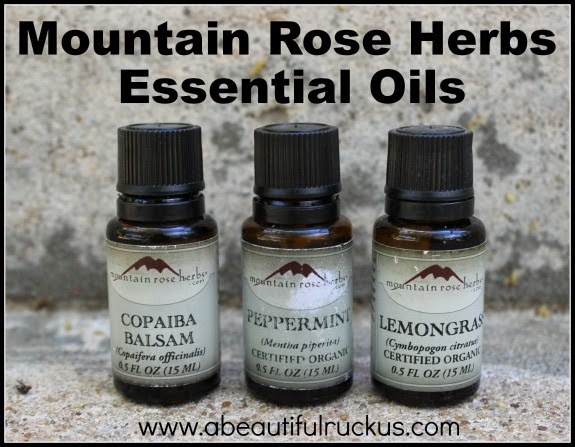 But I wanted to know how many of their referrals were for business reasons and how many were because Mountain Rose Herbs really does offer the best essential oils out there. It's a very well recommended company! All of their oils come with those drop reducer orifices! Thank goodness! As a blogger, they have an affiliate program that could help offset the money that I pay to afford a blog. BUT that doesn't really weigh in on whether or not the oils are the best out there. If they aren't good, I ethically can't recommend them. Plus, why would I take money in exchange for not giving my family the best? They also offer a wide range of other products, most notably their extensive herb selection. They offer 111 single oils, all of which are organic. They do not offer any blends. They seemed to have decent oils. I've used the ones I've bought and didn't get the cheap feel that I did from Bulk Apothecary. I also wasn't blown out of the water, but they are nice. I guess 'indifferent' was how I felt about them. They are also essential oil rebottlers. They buy their oils, already distilled, and then rebottle, label, and sell them. They do not offer any essential oil blends. I was googling for essential oil companies, and this one popped up. I like the prices and the free shipping, so I thought that I would give them a try. They have free shipping and it is fast! In the several orders that I placed with them, I generally received my oils in less than a week. They have awesome customer service! I've sent several emails to their aromatherapist and always get a response. Very nice! They have their own FaceBook group. All of their oils come with drop reducer orifices. It's the little things, people! They have 88 (non-organic) single oils and 43 (non-organic) blends. They only offer 19 single oils that are organic. They have very few other products on their website besides essential oils (which is only a con if you are looking for more options). I have several friends who use Young Living, and they seemed happy with them. They also show up in a ton of blogs and search results. They are the company that really started the whole essential oil movement in the United States as we know it today, so there is a lot of information out there about them. They have the longest track record: 20 years. They have developed most of the testing and standards for the American essential oils industry. They test and monitor their entire essential oil process beginning from when they are seeds. They are NOT rebottlers. They grow, harvest, distill, and bottle their own oils. 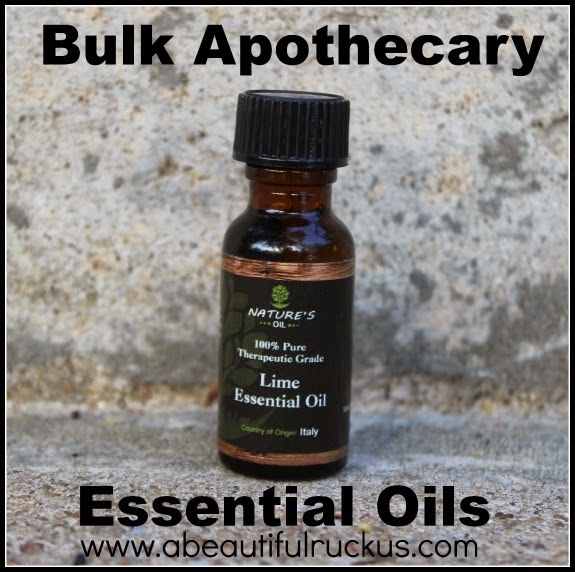 They have the biggest selection of oils that I've come across: 86 singles and 78 blends. They have a wholesale membership (like Costco or Sam's Club) that you can purchase to get 24% off of your products. There are no requirements to maintain the membership other than purchasing $50 once each year. All of their oils come with drop reducer orifices. I thought that was standard for all companies, but now that I know it's not, I'm definitely noting who DOES include these! Everything they offer is consider more than organic. Because they monitor their oils from the point of them still being seeds, they actually have stricter guidelines that they follow than what the government requires to qualify as organic. However, their oils are not "certified organic." From what I understand, it is because 1) They grow some of their oils on farms in foreign countries. The foreign countries either do not have organic standards or do not have the same standards that we do in America. 2) Some of their oils are gathered from the wild, and it's impossible to prove an organic origin even though they only harvest plants that have been untouched by chemicals. Their quality control process (called "Seed to Seal Standard") is consider to be "more than organic" in spite of the lack of certification. The shipping is a set amount unless you go over 5 pounds. If the order is just for oils, you'd have to order quite a few to go over that, but any additional products can easily tip the scale, increasing the shipping cost. They charge tax based on the retail amount of the oils even if you are buying at the wholesale member. They sometimes run out-of-stock on their oils. This is a pro or con depending upon how you look at it. It's a con in terms of, if you need it and they don't have it, then you are out of luck. It's a pro in that, the reason why they are occasionally out of stock is because their standards are so strict and high that they won't sell anything sub-par. 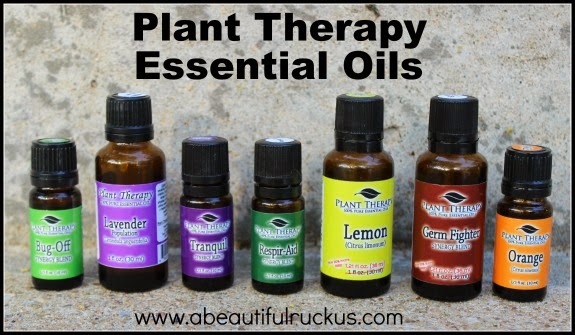 They only sell about 30% of the essential oils that they plant/harvest/bottle, and the rest is used as organic treatments on crops they are growing or disgarded...so I'll let you decide if that goes in the pros or cons category. So there you have it. The pros and cons of the four companies that I've tried since the beginning of the year. Okay, just another note since I know someone is going to comment and ask me about this: Why didn't I try doTERRA? Well...(and this is going to open a big can of worms, I'm sure) I believe that the company has some ethical issues which bother me. They are also oil rebottlers but sell their oils at Young Living prices. If I'm going to buy oils at that price point, I'd rather buy them from a company that monitors them from the point that they are seeds. If I don't care about that, then I'm going to go with a company that is vastly less expensive. Does that make sense? In other words, I consider them to be Mountain Rose Herbs/Plant Therapy level oils with Young Living prices. And I *know* that some of you will disagree with me about that assessment of doTERRA, but that's the much abbreviated version of why I decided not to go that route. With all of that info out there now, which company did I end up with? There are pros and cons for each of them, and I had quite the list of requirements. Remember, I was looking for the BEST, LEAST EXPENSIVE, MOST EFFECTIVE essential oils. That's a tall order! After trying all of them, using my family as my test subjects (sorry again, guys! ), and researching for hours and hours and hours, where did I end up? And I promise I'll answer that question really soon! In fact, the next post should answer that question, along with showing you how our chosen essential oil company actually saved us money! Don't miss the other posts in this series! Nothing in this post should be taken as medical advice and you should consult your doctor before beginning to use essential oils. This post is purely for entertainment purposes and should be treated as such. Everything is accurate to the best of my knowledge, but please do your own research!! Great article...I'm loving that you did the research on this!! I bought some peppermint essential oil from Edens Garden, which is highly rated on Amazon. How did you find out which companies are rebottling and which ones (well, just Young Living) bottle their own oils? I'd also like to know how to find out more info on Eden's Garden. You can go to seedtoseal.com and check out the process from young Living. I had the opportunity to go to the Young Living Lavender farms and plant some lavender. I also was able to see the distillery in action. They are committed to quality. More pricey sure, but most effective by far. thanks again Rebecca for your careful research! I really appreciate it! Great post- thank you. Very helpful, but I still say, if YL is actually above the govt standards for organic, they should ease peoples minds and label at least organic. Otherwise people assume they are below the standards of organic. Wow, this is the first essential oil post I've read that doesn't have affiliate links or one where the author sells a particular brand. I appreciate your research and thank you for sharing!! Thanks for the research. There is a new company Spark Naturals that seems affordable. No membership required. Thank you SOO much for sharing your research and experience!!! I'm kind of surprised that you would discount an essential oil company just because one oil didn't work the way that you hoped it would for certain symptoms. what if a 50 dollar bottle of eucalyptus from one company worked the same as a $10 bottle of eucalyptus from another company? That seems like a more useful comparison. obviously you are going to do your research in the way that makes the most sense to you.that is just my 2 cents. The Pros have it....YOUNG LIVING ALL THE WAY!!!! Two notes - 1) You gave a long list of pros for YL but didn't say what you actually thought of the oil (feel, smell, efficiency) and 2) YL DOES NOT resell oils. They throw them out or use them for company use only (such as cleaning the facility, etc). I have tried some Rocky Mountain Oils... have you any experience with this company? I have. They copy YL blends, but they smell nothing like YL. I bought from them once before I understood that you get what you pay for with EO. If you think about it, even Safeway or grocery stores JCPenney's Ross's all those are actually multi-level marketing and we purchase from them all the time without even thinking about it being multi-level. And we don't get reimbursed for any of the products we buy from those kind of stores. But was the only living we get 24% back and they have an Essential Rewards program where you earn points to get free products. I love young living I've been to the farm four times, and I've cashed in over $300 from my Essential reward points and got free product. There's no other stores or company that does that for their people that I know of, and I have been in several multi-level marketing companies. I'll stick with Young Living all the way. I like them too, but I can't find much information about them. I also use Edens Garden and so far like them but now I wonder if they aren't pure? How would I know? The company says they are, but anyone can say that. Find out where they get their oils from. Can you visit their Farms, there distilleries? Do they have a seed to seal? Or do they get their oils from someplace else and put their label on it? Know your company and their integrity. I agree, I will not purchse dT because of this, I call it unethical. Thievery. YL sued doTerra for stealing from them. Their allegations were found to be true by the courts. They won no settlement because they didn't file the suit in time. I also will not buy dt for this reason! Really nice work you did here, Thank You! Have you ever heard of this company called Floracopia? If so, what are your thoughts? Thanks! Wow, thank you for doing all this research. I was just looking up what company to buy essential oils from, and you just did all the hard, leg work, for me. Now I know who to go with, even if it means saving up for them. Thanks again! I've considered using more essential oils, but I didn't feel like I could trust recommendations of people who were being paid to hawk particular oils. Thank you for doing the research and outlining your reasons. Even if you were to get paid for it, I feel like your reasons are valid. So now I'm going to go take a look at Young Living! Awesome! Thank you so much for doing this! When we lived in Europe I got stuck on oils and haven't been able to find a good product since we returned to the United States. But I have not been in dire straights since I stocked up in Europe. I have been wondering the difference between doTerra and Young Living and this really spells it out. Thank you so much for clearing that up...very appreciated! Great research and I love that you took the time explain it. I am a Young Living user and I will never go back to any other oils, they are absolutely amazing oils. Expensive, but where me and my families health lies, it's worth every penny! I see it an an investment in our health. As some one who can not use OTC or Rx pain meds (I am highly allergic to all NSAIDs and Aspirin) I had to find other means of helping head aches and the every day aches and pains. Young Living has handled that for me. I will also say someone mentioned your pros for YL did not include oil quality... here' the pro for YL's quality in my opinion, I used the lavender oil from a different brand, one you had on your list, and then I used YL's lavender and the difference is in the SMELL. I had a headache for 24 hours after I smelled the other brands lavender. It was a HUGFE difference. There was a bite and almost alcohol type smell to the other brand, YL's was smoothe and VERY soothing. I run my diffuser with it and the house smells wonderful. Young Living will be forever in my house hold. Thieves is a great oil as well!!! Thanks so much for your research it was a great read!!!! Did you know that with Bulk Apocathery you can actually pay to have YOUR label put on them? I had someone trying to get me to bring them into my office instead of YL and one of her big selling points was that. "I" didn't do anything....why would I put MY logo on the bottle? Seems dishonest to me! A quick word of caution...because I have run into it with folks in our Young Living family. Buying oils from people selling online (like Amazon, Ebay, etc) is NOT safe. There are ways to recap a bottle to make it appear unopened (the device to do that is for sale on those sites, and is relatively cheap). We have had several people buy what they thought was a YL oil only to be badly burned by an unknown substance in the bottle (a YL oil will never create a chemical burn, skin irritation if it's too strong, but never a burn like we have seen) You have no course of action for getting your money back except to contact the seller, which often proves impossible...and you have wasted your money on a bottle of toxic unknown. Each of the companies listed above has a way to get their products safely...either through stores or distributors. Please don't try to save 50 cents and put the health of yourself or your family in jeopardy!! (I am sure there are those folks that will now argue with me that they are honest and sell on Amazon...I'm not talking about them, but there is no way to know who is honest and who is cheating. And I've seen the burns...not a risk I'm willing to take!) Another side note...after 5 years of research and learning...whatever brand you choose...a TRUE therapeutic grade oil should NEVER expire, so if your bottle has an expiration date on it, that should be a BIG red flag! Also, the majority of oils are safe to ingest if they are therapeutic grade...peppermint as a plant is safe to eat, it reasons that the oil should be safe to ingest. If your bottles say "do not ingest" that might be cause for concern as well. Whether you choose to ingest or not is a different story, but the oil itself should be safe for consumption. Just sharing some knowledge. researching companies before I invest too much! Thank you so much for all this info. I see a lot of red flag in the one I have, exp date, external use only, and it's lavender and one is peppermint Gurunanda comp. from Wal-Mart. Been using the YL brand for 17 years and never had a toxic case. I have tried other brands along the course, but always go back to the Young Living label because I trust them and know they will work for me. Other labels give me spike head aches (when inhaling the oils) in the center of the forehead or on one side or the other, and that tells me that the oil is cut or adultrated. The YL oils do not give me headaches when inhaled. I use YL oils. Just recently got information about Jade Bloom oils and am trying them. So far I like what I am using. Newer company, but good results are shown. Have anyone used stillpoint aromatics? I use Eden Botanicals and I LOVE every single oil I have bought from them! Do you know much about Nature's Alchemy brand? Do you have any pros and cons about this company?? Regarding the fact that you mentioned Young Living charges retail taxes even on wholesale prices...this is not Young Living's choice. It's the government. They want full share of the taxes. This is the rule for all MLMs. You might want to mention that in your post. Right now, it looks like Young Living is doing a cash-grab. Please correct it. And BTW, I've used over 40 brands of essential oils. NOT ONE comes close to the excellent quality of Young Living. I simply won't use another brand now, even if it's free. Not worth it. Thanks for your research. You have done a great job. I just wrote my comments, but when I hit publish something happened and the comments didn't show up. Anyway, I wrote a longer comment, but just know I thank you for the job you did in researching each company. It has definitely helped me. I was not sure which way to go. Sorry you didn't get a chance to read my original comment. I don't know what happened. 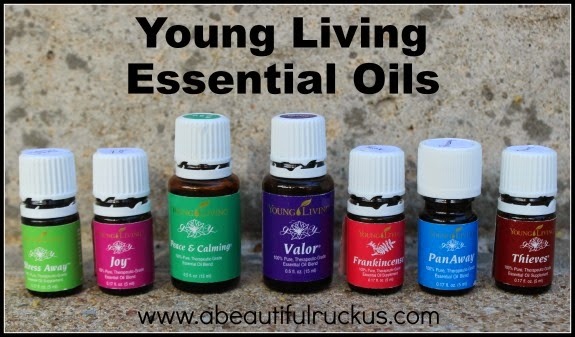 I'd love to use Young Living oils but I will not let them have my social security number. It is NOT safe to give them this information. Is there any way to purchase YL oils without the risk of identity theft? I'd love the quality and I am willing to pay for it, but I am not willing to risk my personal information. Just get a tax ID number and use it instead. Thanks for all the research you've done! I have been using YoungLiving oils for over a year and have found them beneficial. I was doing more blog reading when I started questioning my choice. I was glad you made the point of non GMO seeds and the seed to seal program YL offers us. It makes me more secure in my choice! Thanks again! Rebottler means they purchase the oils from other companies and just rebottle them with their bottles. You have no way of knowing where that oil came from or how it was grown. Have you done any research or heard anything about Rocky Mountain Oils and Native American Nutritionals? I am looking for a great starter kit, but I want to support a company that knows where the oils are coming from and are organic. I love using dōTERRA though I would like to make a disclosure that I work as a doTERRA rep. I like Eden but haven't ever heard of anyone else who uses it so I don't know how it compares to other essential oils. In all the "pros" of Young Living - you never said whether you think they work well or not. Regardless of how they're obtained, I want to know if they work better than the others to justify the MLM and the extra cost. Thanks. Please read the 5th post in the series for my thoughts on that! Great question! WOW! I just read through all of your post in this series and I just want to say THANK YOU! Thanks for doing all of this research and then posting about it! I have been going back and forth about essential oils and doing my own research for years and you have really laid out everything I needed to know! Thanks again for all your hard work! Thank you for your comparison of Young Living and doTerra! I also have serious issues with doTerra's claims, especially that fabricated CPTG nonsense. This is a very informative article overall, thank you for your unbiased pros and cons.